Feed-in tariff for every Kilowatt hour (kWh) of electricity you generate – whether you use it or not! 17% Return on Investment – better than any bank! Solar photovoltaic panels convert the natural rays of the sun to electricity. Having the sun as an energy source reduces our reliance on fossil fuels. Read how solar panels work on our news page. The solar panels are typically mounted on the roof of your premises and are quick and easy to install. Once in place, they are maintenance free. Our high quality German-made solar panels may even prolong the life of your roof by protecting it from the elements! During daylight hours solar panels generate electricity for you to use or feed back into the grid. 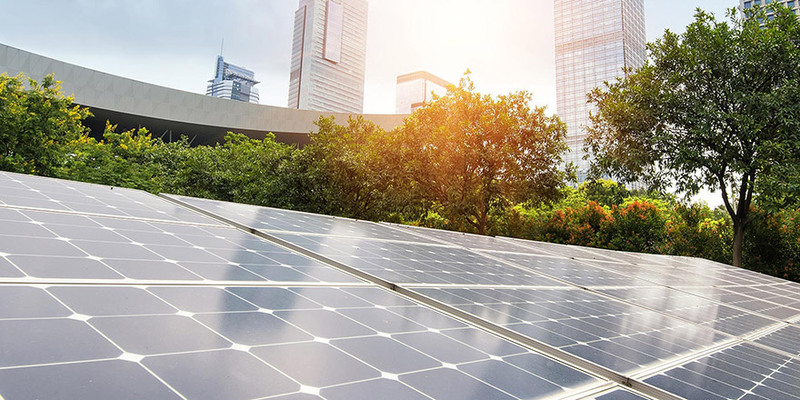 With panel costs at an all time low and a typical return on investment of 17% installing solar panels is a great way to generate an income and add value to your property.